Riverside Walk is an oasis hidden away in Kingston-upon-Thames, it boasts amazing views of the river and overlooks Kingston Bridge. You’ll find an abundance of eateries at Riverside Walk offering mouth-watering cuisine from around the world to suit every taste and budget. The range of restaurants cover a variety of cuisines and a great place to relax with friends and family as you enjoy al fresco along the many outdoor seating area. 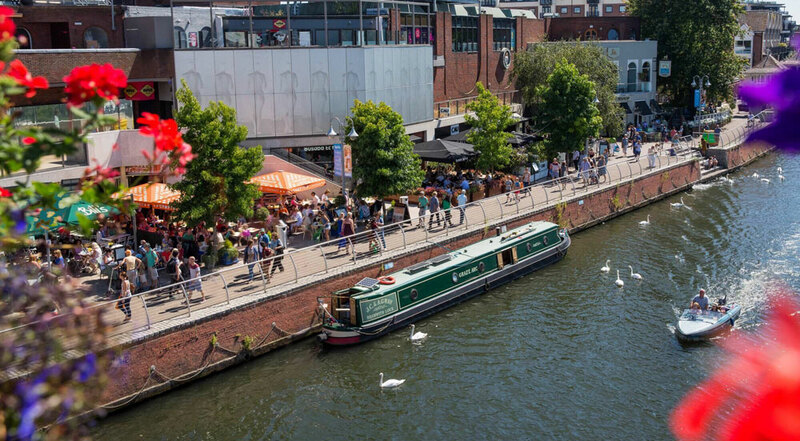 If you are shopping in Kingston, visiting the theatre or looking for the perfect place for a business lunch, Riverside Walk will provide the ideal location.